Join park interpreter, David Owens, down in the beautiful setting of Penitentiary Hollow for storytelling. Hear local folklore, ghost stories, Native American stories, cowboy poetry, and some just plain fun stories. Bring a blanket or lawn chair that is easily carried. 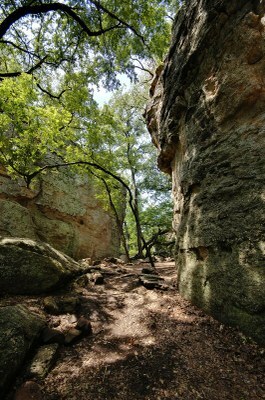 Held at Lake Mineral Wells State Park, 100 Park Road 71, Mineral Wells, TX, 76067. The program is free with paid park entrance fee or a State Park Pass.